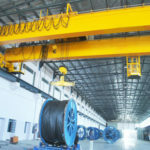 EOT crane, also known as electric overhead traveling crane, is a typical industrial crane mainly used for lifting and moving heavy loads in workshop, warehouse, freight yard and workstation. It is generally equipped with electric hoist to perform raising and lowering of loads. The EOT cranes typically fall into four main configurations, including single girder, double girder, top running and underhung type. It consists of a single bridge girder and is capable of handling 1 ton to 16 tons weight. 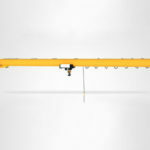 The single girder overhead travelling crane is engineered for light duty to moderate lifting requirements. Built with double girder, it is capable of lifting up to 300 tons. 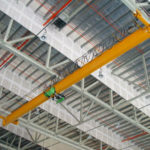 The double girder crane covers a variety of usage ranging from infrequent, light duty use to heavy duty, severe service. 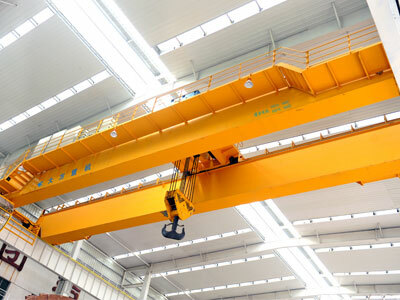 Compared to single girder overhead crane, it also has greater lifting speed and higher efficiency. Top running crane is the most common form of overhead lifting equipment, which is mounted on top of runway beam. It can be built with any capacity for your requirements. Underhung design is typically found in single girder bridge crane. Suspended from building roof structure, it can only lift up to 10 tons. The suspension crane differs from top running overhead crane in that it runs on the bottom flange of runway beam. This type of crane can be used when your building height is insufficient or there are no columns in your facility. 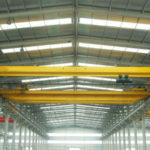 We offer both standard and customized industrial overhead crane for your businesses. 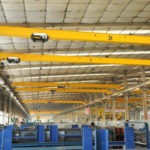 The overhead crane design can vary widely with respect to the load weight, the type of load, working environment, ease of use and safety precautions. A variety of overhead crane components and options are available for you to choose from to make sure you end up with the optimum solution. Capacity: typically from 1 tons to over 200 tons. Crane steel structure: Q235 carbon steel, Q345 structural steel. Control system: pendant control, remote control, cabin control. Safety device: overload limiter, anti-collision device, travel limit switch, etc. Our EOT cranes are meant for the utmost reliability and efficiency of lifting within your facility. If the standard configurations cannot suit your requirements, we are able to offer custom design with our excellent technical team. 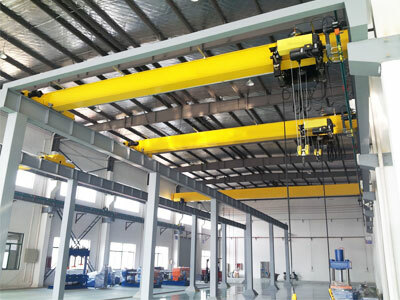 The overhead traveling crane incorporates the use of several mechanisms to perform lifting and moving work, including crane travelling mechanism, hoisting mechanism and trolley running mechanism. Crane travelling mechanism – it runs on the long runway rail which is parallel to the length of the building to move loads back and forth. According to the building height, it can travel either top of runway beam or on the bottom flange of it. Hoisting mechanism – it is the unit that performs the raising and lowering of loads. 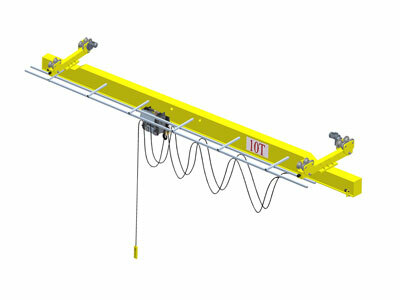 The hoist can be directly mounted to the crane or supported by the trolley. 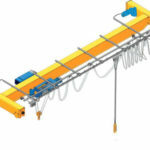 Trolley running mechanism – it carries the hoist to travel along bridge girder. In this way, the electric overhead travelling crane can move loads in three directions to realize more effective and efficient lifting. 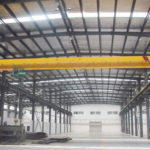 We are experienced overhead EOT crane manufacturer as well as a service provider. 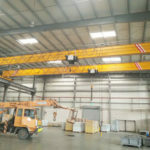 If you choose DAFANG cranes, you can not only benefit from our crane design and fabrication, but enjoy a dependable service including installation, maintenance and commissioning. With our experienced engineers and state of art production equipment, we can design and produce the perfect EOT crane for your application. Contact us online today to get a free quotation!